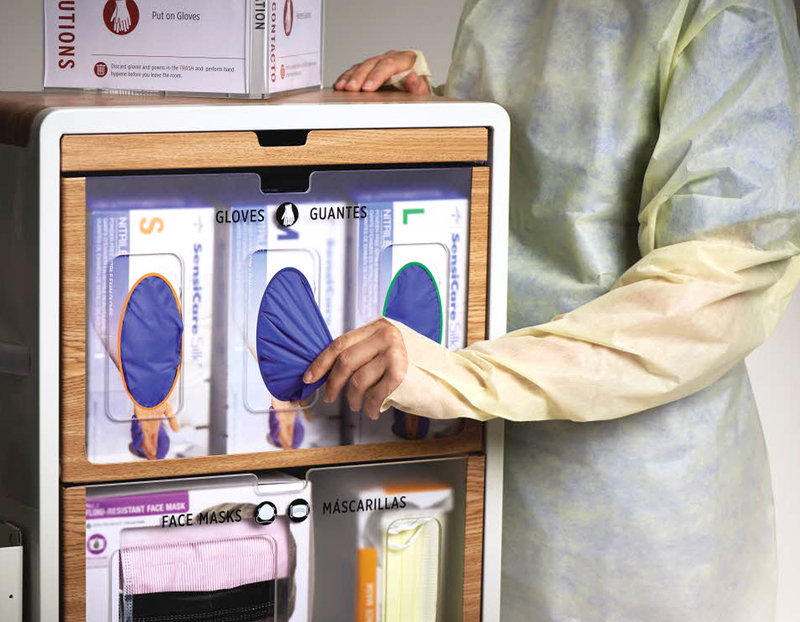 Increase awareness of isolation protocols and preventing the spread of germs has become a huge priority for hospital systems. We were tasked with rethinking how to provide caregivers and families with the right product in the right location at the right time. We also found it was necessary to simplify the selection process and make it easy for them to identify isolation categories (Contact, Droplet, Airborne). 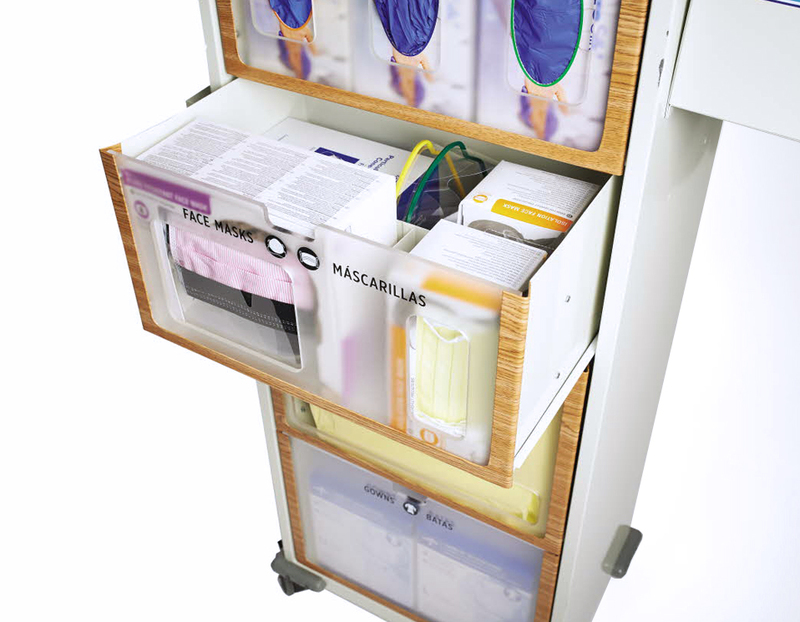 We designed and developed an isolation organizer cart with signage that provides education. 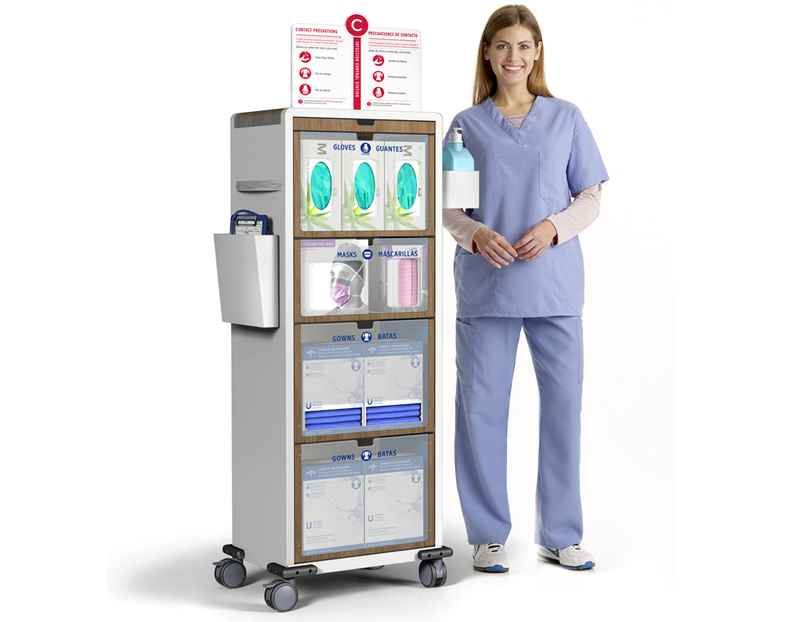 The cart empowers patients and visitors with educational and motivational tools, educates staff (physicians, nurses, assistants, etc), and above all, it creates a tone that’s safe, proactive and caring.